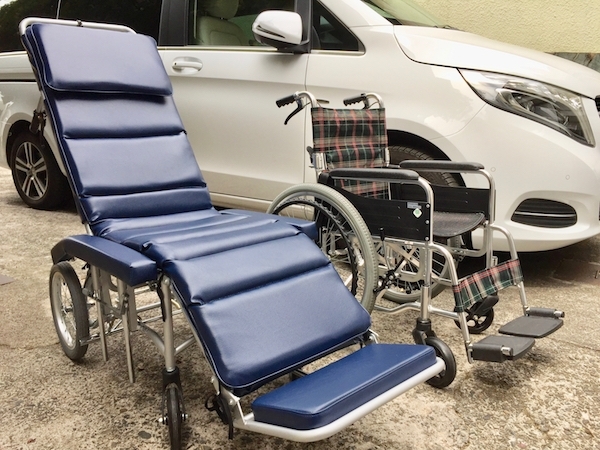 Yes, Wilgo has the standard wheelchair (free of charge) and the reclining wheelchair (2,000 yen pre a ride). It’s possible to make the reclining one full flat like a bed, so that anyone who have a pain on back or waist can get comfortable ride. Please be advised that the reclining wheelchair can not be used with straight up position, due to the limited height inside of vehicle.